Both Katherine and Ashley were amazing. They were gentle and caring, down to earth. We were able to tell them what we wanted for our Grandma and they didn't try and push or sell us anything that we hadn't requested. Extremely amazing service despite it being a sad time for us. I can't thank them enough for taking care of my grandmother. Thank you so much. From the very first contact Ashley provided information to assist me to make informed decisions at a very stressful time. His continued professionalism matched with kindness and understanding impressed when family dynamics came into play. Ashley remained true to his word. Delivered and coordinated all aspects of the funeral arrangements as per our family"s wishes from the commencement through to completion. 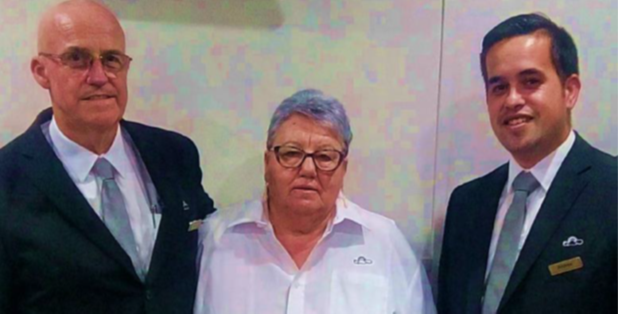 Proud to be friends and neighbours within the community, Bracken Ridge and Brisbane funeral directors Ashley and Katrina Bergh’s focus is on supporting families through a very difficult time. As a small funeral home with warm family values, Academy Funerals is on call and there when people need them – whatever the time of day or night. The person you first speak to will provide the reassuring support that you need through throughout the journey. They will listen and provide support to arrange a farewell that is meaningful, memorable – and healing for those left behind. Ashley and Katrina want families to feel as reassured as possible. The comfortable, air-conditioned Bracken Ridge office and Lawnton funeral home has on-site parking and is family and pet-friendly, with a secure supervised play area for little ones. A private viewing room is available for families to spend time with their loved one, with a small chapel of rest providing space for quiet contemplation. A qualified psychologist is on call at all hours for those who need a little extra emotional support at this time. As a small family business, the Brisbane funeral directors are able to accommodate families wishes and do not charge extra for after hours and weekend arranging, viewings or dressing loved ones. They are also happy to arrange to visit South East Queensland families, or to bring their loved one home to lie at rest, before the funeral. Academy Funerals offers a full range of coffins and caskets, including coffins and caskets for those requiring a larger or more comfortable size. Funeral transport includes a stylish custom-made hearse with seating space for mourners to accompany their loved one to the funeral and a Harley-Davidson motorcycle hearse. This Brisbane funeral home strives to do the very best for every family, with a mission to provide “dignity beyond all expectation” to those they care for. 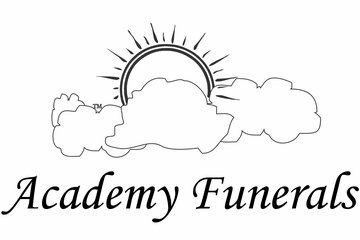 Call Academy Funerals for caring funeral service at the heart of the community. Everything was taken care of in our time of grief. Ashley & Andrew were absolutely wonderful during our loss. Talked to us about what we wanted, explained everything, were available for questions, night or day. Absolutely amazing professionals with quality service. 100% recommend. Ashley and his team at Academy Funerals were fantastic from the initial phone call to the service itself. Ashley instantly made me and my family feel trust in him and his compassionate yet honest demeanor helped us greatly to be at ease and make decisions for the day without concern. When Ashley visited us at our home he went through the options and there was no pressure to go with a particular package. We were able to tailor the details to suit our wants, needs and budget. During the entire period which was also our mourning period, we never once felt we or our mum didn't matter and their understanding and flexibility with multiple visits to the viewing room made it so much easier to grieve and say a proper goodbye. Thankfully this has been my first experience organising a funeral and whenever the time comes again I will be definitely going through Ashley and Academy. Helped us through a difficult time with keeping us informed and guiding us through what was required. Use them with confidence! Academy Funerals were fantastic in looking after our deceased mum and the family. Ashley and Katrina advised us flawlessly. Mum died at the beginning of the Easter weekend (2016) and one family member had to return home to Chile. They handled the hospital, all arrangements, worked with the family, created a great atmosphere in their eclectic but delightful viewing area, and dealt with all of the cremation requirements, and did it all quickly, efficiently and in line with our timelines. Throughout it all, they looked after the family, not themselves, making suggestions that helped an inexperienced family group deal with every issue. Thank you for the great work. Ashley and Katrina ensured that the experience was a smooth as possible - they were compassionate, professional and understanding. Their suggested celebrant was a perfect fit. Thank you for making an emotionally difficult process less challenging. Our family appreciated the professional and friendly service provided by Acadamy Funerals at our time of loss. At the initial meeting with Ashley, discussion occurred around the type of coffin requested, my response was just a basic coffin, thinking it would be similar to the coffin I had for father two years ago. My mistake was in not asking to see a picture of the coffin. It was unfinished, raw timber, with nails protruding. A quote from one of the people who attended, "we thought it was an environmentally friendly coffin" I requested that the funeral director be a half hour earlier on the day of the funeral, for sound and music checks, this was refused. Allegations about another family being handled by the funeral director at the same time and how the time we were taking from the other grieving family were made to me which were inappropriate, and I responded by hanging up the phone, if I remember stating that we were equally in a similar situation and that time management could have been handled a little better. I was asked on two occasions, did I want an open coffin, my response both times that it was not to be open. The coffin was placed in the chapel on the day of the funeral. It was uncoated raw timber that I don't even think had been sanded. It was unlined, this we know because I requested that a medal of St Anthony be placed in the coffin. The coffin was taken out the back for the cremation with Ashley saying numerous times when asked, that he would place the medal inside A family friend followed it around to ensure that my request was upheld. On arrival she observed that the lid of the coffin was off and it was unlined and open for the medallion to be placed with him. This I find totally inappropriate and feel that I was undersold something which was of inferior quality. The argument that I had with the funeral director was totally unnecessary and should not have occurred. He also mentioned that he had done me a favour to allow the two hours on the Sunday for viewing! The funeral parlour was in an industrial estate and totally not fit for purpose. The people at the Goodna Crematorium couldn't have been kinder and helpful, with the statement made, "they have never seen a request from the family to the funeral director ever refused, left shaking their heads! I am totally devastated that at such an critical time I feel that I haven't done the right thing by my boy, and have been let down by an inefficient service at a cost significantly higher than my father's funeral two years before. Very good web site and with over 1200 hits it certainly reaches many people. Thank you Ashley for a job well done. Very helpful and responsive people. Good value for money. Ashleigh and Katrina were very caring and helpful. They did a wonderful job. I was very happy with the service and professionalism from Academy Funerals. The management and staff provided caring assistance and the service was exactly what was requested. On behalf of our family I say a sincere thank you. David Rielly. Ashley and his staff were very helpful and a pleasure to deal with at a difficult time. I would recommend Academy Funerals to anyone. From the meeting point with Ashely and his staff, you both made our journey with you as comfortable as possible. I felt my darling Husband Ray was in safe hands, which gave me great comfort and relief. Thank you All Sincerely for your compassion and sensitivity to us both. Your publication notice was done beautifully and we are very blessed to have you with us in our lives. At a time when I was dealing with so many emotions it was a relief to know that Ashley and his team were there to help. They arranged mum's funeral at the graveside exactly as I had requested and went the extra length to make it really special. Academy Funerals are caring, compassionate and respectful and my family were very happy with their services.